In the early 1940's Yun Pon Gun took over a group near Kusimoto, Japan, called Shimpu-Ren (Shinpu- Ren). Yoichi Nakachi became a student of Shinpu-Ren. At the age of 16 he was promoted to (Nidan) 2nd degree. Yon Pon Gun, and the other Koreans left Kushimoto in 1950, and Sensei Nakachi became the head of the Shinpu-Ren group. In 1959 Nakachi moved to Seattle, WA. and attended the University of Washington, under a scholarship. He began teaching Shinpu-Ren in the university district of Seattle. Nakachi changed to the Olympic College of Bremerton, Washington in 1961. His students from Seattle moved with him to the downtown YMCA and he taught a second group at a health club. Olympic College also requested he teach for them. During his time in Seattle, he is said to have met with Bruce Lee and exchanged many concepts in regard to the martial arts. It was in 1963 that Master Nakachi changed the name of the Shinpu-Ren system to Butokukan and the crest and the kata's (forms). When Nakachi changed the Shinpu-Ren name, he did it to honor his former school of Kyoto, Japan. Nakachi softened the system of Butokukan partly since the Shinpu-Ren was considered to hard and brutal to teach, and it allowed him to bring in more flowing techniques from the Chinese styles, thus softening the traditional hard-styles of the Okinawans. In 1965 he returned to Japan. He was able to re-establish his teaching and promote a few students; however when he moved to Tokyo these students no longer actively trained under him. He worked full time as a swim instructor in Tokyo, and was a full time care giver for his wife who was very ill. 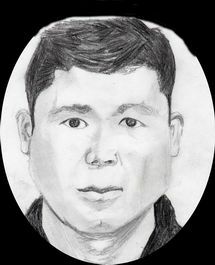 He never returned to the United States and passed away in October of 1998 in Kushimoto, home of his childhood.